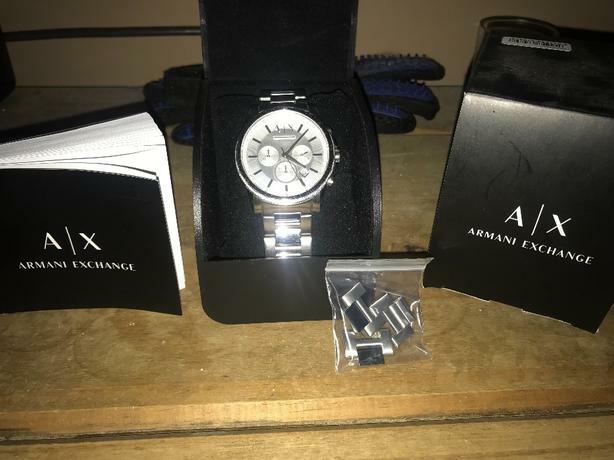 Great condition Armani Exchange Watch, paid £150 a year ago comes with original cushion, box and book! Also comes with links to add if too small! It works and has no face damage only a few tiny scratches on clasp but perfect condition and bargain! All original stuff!